This week, CBS announced that new series Under The Dome would be returning for a second season which I have been predicting for several weeks seeing as it has been one of the biggest hits of the Summer season in quite some time. They also indicated that Stephen King, who’s book the series is based on, would be writing the premiere episode for the show’s second season. The success of this show may prompt the other broadcast networks, who have mostly given up on genre scripted programs during the off-season of late, to try and throw in an entry of there one that might score similar ratings success. As for Under The Dome‘s most current numbers, it remained steady pulling a 2.8 rating in the 18-49 demographic with 11.41 million total viewers this last Monday. For last week, the series tied with NBC’s America’s Got Talent for the top show in the 18-49 demo and it won the week in total viewers. 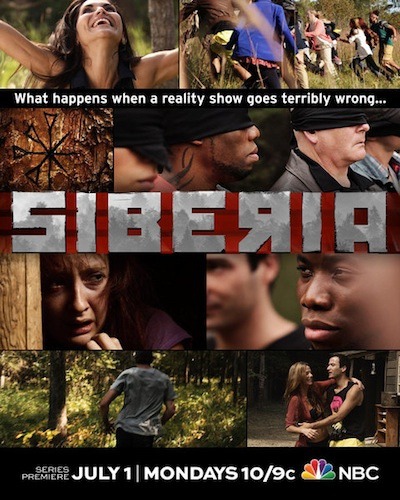 NBC has not been as lucky with its original genre programming this Summer as Siberia sunk yet again this week to a 0.7 rating in the 18-49 demo with only 1.93 million total viewers. That show started out with only moderate numbers, though if it had held onto its original 1.1 rating or even slightly improved it (and also generated some social network buzz like that network’s recent entry Hannibal) then it might have been considered successful enough for a Summer series. But it has sunk pretty much each week since its debut, and it wouldn’t surprise me if NBC were to kick this one to a cast-off slot on Friday or Saturday night (perhaps when Do No Harm finishes its burn-off run) or if they yanked the show altogether. At any rate, I am moving this one to the highest Cancellation Alert status now. As for the cable shows, MTV’s Teen Wolf continues to hold steady, pulling another 0.8 rating in the 18-49 demo on Monday with 1.77 million total viewers. On Sunday night, True Blood reigned supreme again with a 2.4 rating and 4.36 million total viewers. That made it the top show for the evening among cable and broadcast offerings. On TNT, Falling Skies dropped notably with its second to last episode of its third season, pulling a 1.0 rating with 3.05 million total viewers. That show, like most of the non-burn-off Summer genre offerings, has already been renewed. On Friday, Continuum continues to hover in the same range pulling another 0.4 rating with 1.33 million total viewers. And on Wednesday, Futurama heads toward its series finale (baring a change of heart from Comedy Central or another venue picking up the show) pulling a 0.7 rating with 1.2 million total viewers. Both of the Saturday burn-off shows improved their numbers this past weekend, for all that really matters. ABC’s Zero Hour pulled a 0.4 rating in the 18-49 demo with 1.91 million total viewers, and NBC’s Do No Harm had the same score with 1.56 million total viewers. And for those interested, Syfy’s Sharknado improved its numbers yet again with its second encore airing this last Saturday. It’s total viewers increased to 2.1 million and the network was the third most watched in the 9-11 PM EST hours among cable and broadcast. And if you still haven’t caught this creature-feature that has caused such a stir on the internet, Syfy has it scheduled for one more airing on August 22nd. This column is running usually once a week in the Summer on Wednesdays (and sometimes Tuesdays). Keep an eye on the Cancellation Watch Twitter Site for quick updates on the ratings numbers, and you can see the full schedule of Summer science fiction and fantasy shows at this link and see the Cancellation Alert status of these shows at this link.